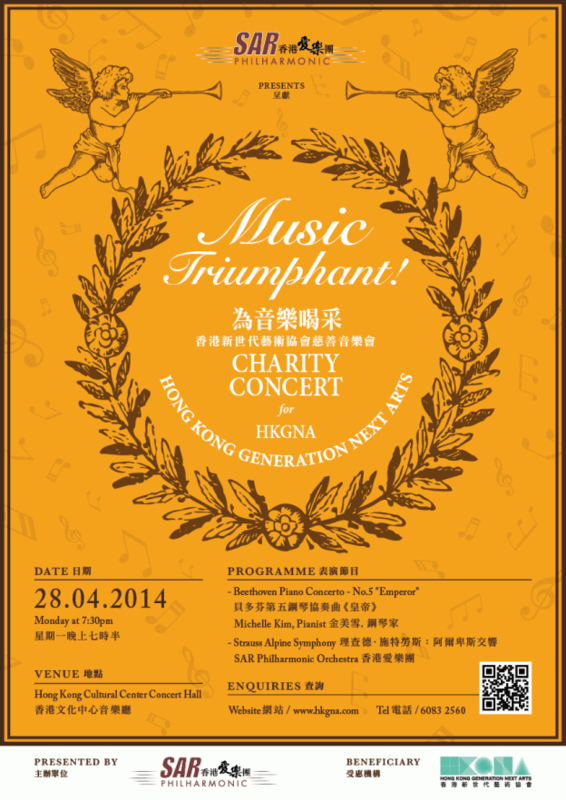 Hong Kong Generation Next Arts(HKGNA) invites you to “Music Triumphant!” where Founder and Artistic Director Michelle Kim will perform Beethoven’s Piano Concerto No.5 “Emperor” Op. 73 as soloist with the SAR Philharmonic Orchestra. Presented by SAR Philharmonic, we will be celebrating the majestic sounds of Beethoven’s Emperor Concerto and Strauss’ Alpine Symphony. But more importantly, our Music Triumphant! concert program represents the triumph of the human spirit and the power of music to transform young lives. At HKGNA, we have witnessed how music can change young lives. In our Music Angel Program, we serve under-privileged youth working with rehab centers and NGOs. We’ve seen young people triumph over their adversities and find hope, strength and purpose through playing music. 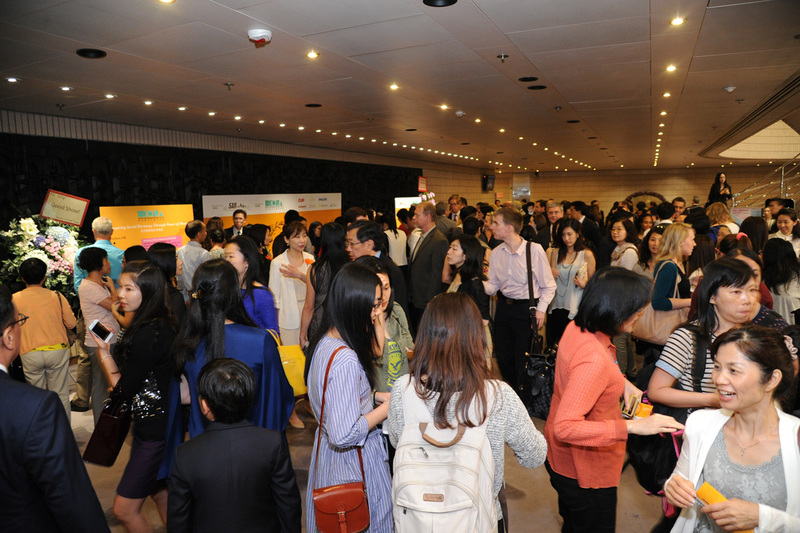 HKGNA stands for Excellence, Community and Inspiration. We bring Hong Kong’s best young talents to the world’s stage. This year, we’re following up on the success of our First New York Debut Music Competition and are hosting our second HKGNA Music Competition, bringing our winners back to Carnegie Hall to perform. We are also launching a spectacular HKGNA Music Festival represent all genre of music and will bring world class artists to Hong Kong to perform with our young artists and our Musical Angels in an ultimate celebration of music. To help our Musical Angels and our next generation top performing artists, your support is essential. Your donations will support our Musical Angels and help HKGNA continue to create performance opportunities for our HK young artists. We are passionate about music and our next generation performing artists. Come support our vision to transform lives through music. Hailed as “an artist of intense passion and profound sincerity”, HKGNA founder Michelle Kim is a concert pianist from Juilliard. Since debuting with the Seoul Philharmonic at age 10,she has performed in recital and with orchestras all over the world. An advocate of the performing arts and underprivileged youth, Michelle founded HKGNA in 2009. In 2011, HKGNA was awarded ‘Charity of the Year’ by Southern Metropolis Daily. In 2013, Ms. Kim was featured as one of the “Inspiring Women of Hong Kong” in the October 2013 Anniversary Issue of Marie Claire for her charity work in Hong Kong. The SAR Philharmonic has a simple goal: Helping to lessen suffering through Sweet and Romantic music. This is mostly carried out by presenting concerts for fundraising for other charitable organizations. 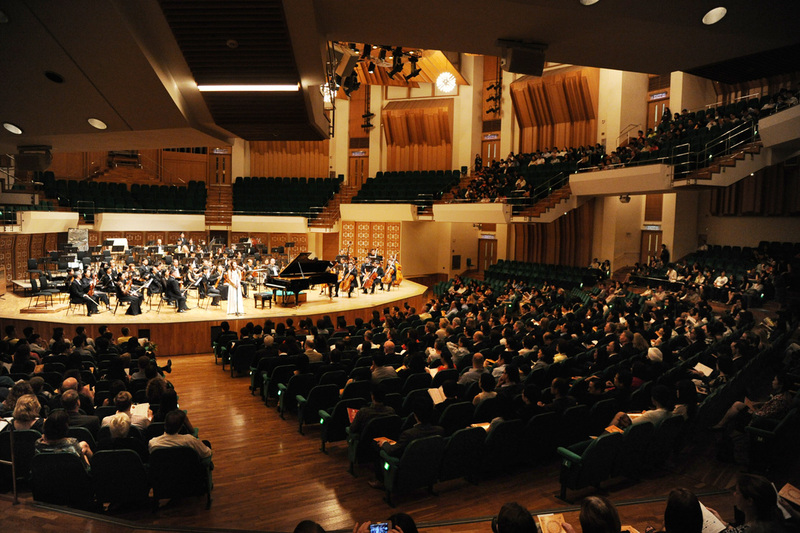 The SAR Philharmonic is the musical arm of SAR Philharmonic Charitable Foundation, a Hong Kong Government registered Charitable Foundation. The orchestra performs several concerts a year and since the first concert in 1999, over $30 million have been raised for local charities.